Hi, Dreamspinner Gang! Kate Sherwood here, playing on the blog for the day! Unfortunately, I’m not really here. That is, I’m not live, on-line, all day long. Stupid job. Apparently I’m supposed to actually work when I’m there, and do the work they think is important! What an outrage! Anyway, I’ve set up a few posts through the day, and I will absolutely check in tonight and tomorrow to see what people have said and respond as I can. But please don’t be insulted if I don’t chat all day long. So, with that out of they way… a new month, and a new DSP novel! Yay! I expect we all know about the ‘new month’ business, but how ’bout that new novel? 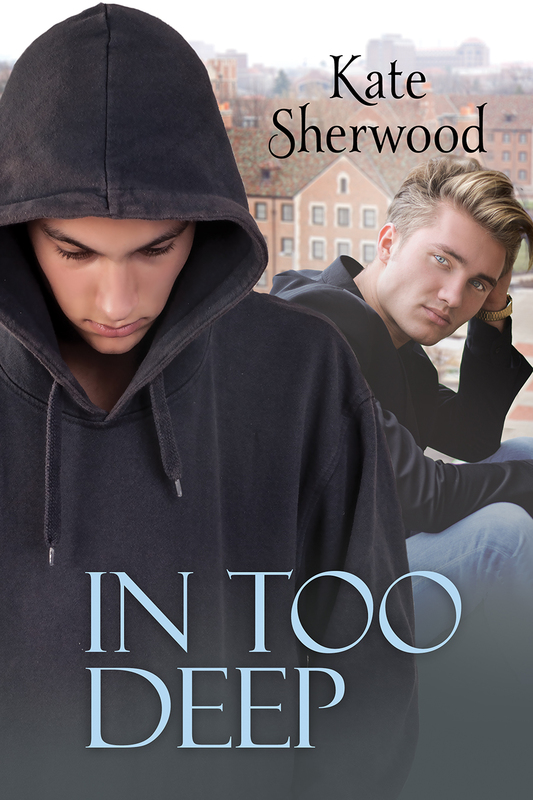 In Too Deep (with a gorgeous cover by Christie Caughie) is actually an expansion of a short story I wrote a few years ago for the Goodreads m/m group’s Love is Always Write event. The response to the short (watch out for spoilers if you click) included a lot of “I want to read more!” comments, but I was busy with other projects and didn’t really think about it. Then a few years later, I re-read the story and knew it was time to get back to the boys. I’d never expanded a short into a novel before, and it was actually really fun, but I gave myself a lot of freedom. I took the basic setup from the short and wrote toward it, but I didn’t try to match up every single thing. Which meant I had to leave behind some of my favourite bits of the short story, but… kill your darlings, they say. And they’re not actually dead, after all – they’re just not in the novel! I know quite a few LIAW shorts have been turned into novels over the years – have you guys read any of those? Any favourites to recommend? Clare London’s SAY A LITTLE PRAYER is one of my favorites (though I think it may just have been reprinted in its original form)…I get a little weepy each time I read it, Admael and Jonathan are so sweet! I don’t think I’ve read that one, Trix, but I really like Clare London – I’d better go look it up!